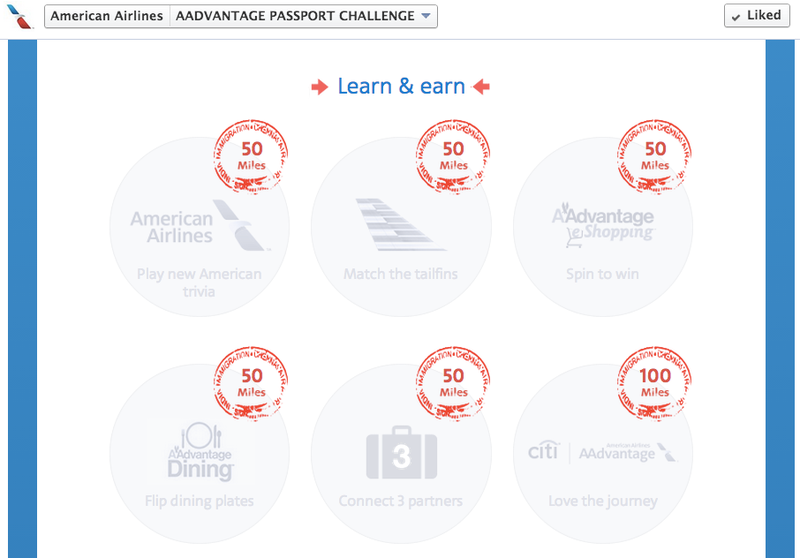 I just found out on flyertalk that American Airlines is giving away free AAdvantage frequent flyer miles with their new promotion, the AAdvantage Passport Challenge. Simply like their page on Facebook and play trivia and other games to earn miles. You can earn up to 700 miles playing trivia and games and up to 350 miles if you share and complete some social actions. American Airlines hopes you can learn more about their frequent flyer program with trivia questions. I noticed that even if I answer many trivia questions incorrectly, they still gave me full credit. When you share something on Facebook, don’t forget that you can choose to share to “only me” if you don’t want to spam all of your friends. This promotion starts now and ends May 23, 2014. I just clicked around and quickly earned 1055 miles in about 10 minutes. There’s still a few activities left for me to earn even more miles. 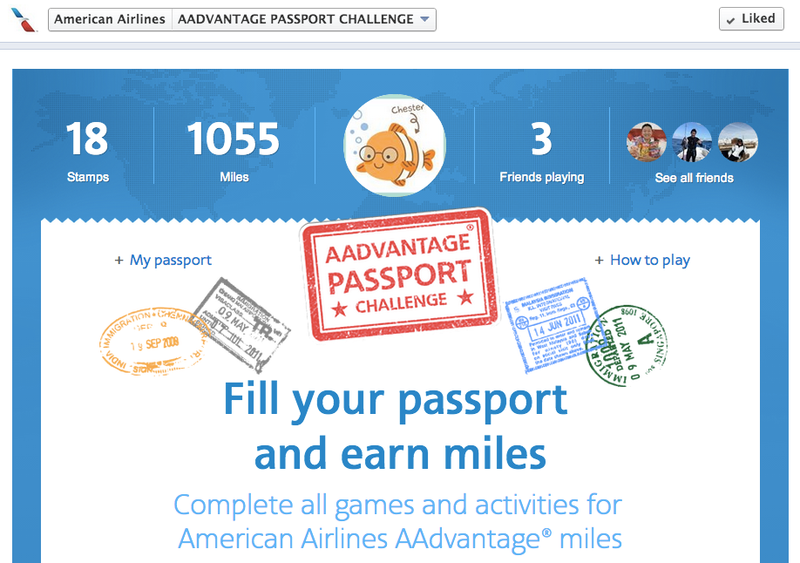 Sign up to play the AAdvantage Passport Challenge here. This is one of the easiest ways to quickly earn AAdvantage miles for free.